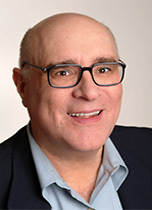 Joe Brancatelli is a publication consultant, which means that he helps media companies start, fix and reposition newspapers, magazines and Web sites. He is also the former executive editor of Frequent Flyer magazine and has been a consultant to or columnist for more business-travel and leisure-travel publishing operations than he can remember. He began his career as a business reporter and created JoeSentMe.com in the dark days after 9/11 while stranded in a hotel room in San Francisco. He lives on the Hudson River in Cold Spring, New York. United's decisions to ditch award charts, duplicating Delta's 2015 move, means the end of the frequent flyer world as we know it. And, unlike R.E.M., you should not feel fine. Ditching award charts means only one thing: brutal, opaque, endless devaluations. How do we know? I created my own chart comparing Delta award prices in 2015 and its 2019 prices for two dozen itineraries. Prepare to be gobsmacked and enraged. JetBlue will be flying to Gatwick and we've learned that from Delta. Showerheads, coffeemakers and hotels, oh my! How U.S. airlines are like bad sports teams. The House of Mogg, the House of Mogh and Brexit. The future of airport food and much more snark, news and silliness. Here is what I want you to do today: Stop. Breathe. Don't obsess about the next flight or the next upgrade or whether you got that acquisition bonus from your newest credit card. Today, let's look at the big picture and see which of the 800-pound gorillas of the skies are flying us where. We've reached a fork in the road of our understanding of airline safety, airline economics and global airline regulation. Let me do my best to calmly and logically cut through the hype and the hoopla and explain why we've reached so many forks in so many roads. We have chosen in haste to adopt the "better safe than sorry" route on the Boeing 737MAX. Prepare to live with safe and sorry for the rest of your business travel lives. It is undeniably true that putting the 350 or so Boeing 737MAX8 and MAX9 aircraft on the ground ensures that no one will die in an accident or a crash. We are safe as long as those planes are on the ground. But this is also undeniably true: If better safe than sorry is what drives our airline system, we must ground every aircraft on the planet. Some of us, me included, will continue to fly the Boeing 737MAX. Some of us won't. All I can tell you today are the calculations I've made for myself. I can't be in your wallet when you make travel purchases, so I surely cannot be in your head and your heart. If you decide not to fly the MAX, I support you. Then let's meet for a drink on the other side of the yellow wood. I wanted to briefly--and practically--update you on the chaotic situation surrounding the Boeing 737MAX8. Although most other nations and airlines have grounded the plane, U.S. and Canadian carriers continue to fly the aircraft with the support of the FAA and Canada's regulator. Hong Kong is never the same from visit to visit. No place changes as fast or as furiously or as frequently. Every day may be a winding road, but Hong Kong is the only place on earth where there is a good chance the road was rerouted or paved over while you were sleeping. Hong Kong isn't about then. It's not even about now. It's about next. Always next. The tsunami of news is now so intense that even the most punctilious business traveler misses stuff or forgets details. So let me remind you: hotel discounts are changing and guestroom bathtubs are disappearing; intra-Europe business class is awful; there's a difference between airport wheelchairs and aisle chairs; a Global Entry bureaucracy must be served; and American credit cards with chips don't solve all international problems. February 14: WILL THERE BE EUROPE BUSINESS CLASS BARGAINS THIS YEAR? Life on the road in mid-February is a sadly predictable affair. Storms obliterate travel schedules. Airport retailers offer schlocky don't-forget-your-loved-ones promos. And business travelers begin planning a European holiday. But will the traditional seasonal bargains be there? Here's a country-by-country outlook. February 7: BRINGING JFK INTO THE 21ST-CENTURY. AGAIN. AND AGAIN. New York politicians keep promising to bring Kennedy Airport into the 21st century. But it seems mired in the middle of the 20th. Billions are being spent, plans are being laid, airlines and terminals are being moved, but Kennedy isn't likely to make it into the 21st Century until sometime in the 22nd. Life on the road has come at us cold, hard and fast so far this year. I don't know what to talk about first, the polar vortex that made it difficult to fly this week or the political vortex that made airports a mess this month. But we need to discuss both. Why is British Airways painting old planes in old livery? To cover up its old business class seats, I presume. Meanwhile, Delta's boss wants to make travel "magic." He wouldn't know magic if a magician gave him a magic wand in the Magic Kingdom. Yup, it's time for some travel snark. No one ever confused this bald lump of scribe with Kirk Douglas, but my jaw has been clenching and my chin clefting over these past two weeks in another town. But you learn stuff about life and life on the road being gone that long. Here's what I've learned these last two weeks. Business travelers are supposed to be fearless, flying where others fear to tread. Yet Hong Kong, for reasons I simply cannot fathom, seems to frighten some of the most dauntless frequent flyers I know. But as coach fares to Hong Kong have plunged and business class fares occasionally have gone on sale, there seem to be lots more first-time visitors to Hong Kong among the business travel set. Here are my must-dos for virgin visitors. When the "partial" government shutdown began on December 22, 2018, most observers expected it to be short. It dragged on for 35 days, the longest in U.S. history. While the shutdown was partial, it had a disproportionate effect on travel. The TSA was hit, meaning airport security screeners were asked to work without pay. Ditto air traffic controllers--and, in the end, a shortage of controllers helped lead to the end of the shutdown. The FAA also ran in gray mode, which meant aircraft and airports weren't inspected. The National Transportation Safety Board was also shut. Here is how we covered it. Copyright � 1993-2019 by Joe Brancatelli. All rights reserved.